As Tessa walked in the house, she heard music playing and voices in the bedroom. She passed the kitchen, down the hall toward the bedroom and then heard a female voice saying, “If she knew, we’d both be in trouble,” followed by giggles. A sinking feeling in her stomach, Tessa stopped confused. That voice sounded familiar, who was it? She opened the bedroom door on Daniel with another woman, both naked and drinking wine atop rumpled bed sheets. She only saw the woman’s back. Daniel froze with his glass of wine halfway to his mouth. He jumped out of the bed, pulled his shorts on and grabbed Tessa by the shoulders. “Oh my God, this is not what you think,” he exclaimed and turned her around toward the living room. He guided her to the sofa and helped her sit down. For the second time that day, Tessa’s world had turned upside down. Shock numbed her senses. 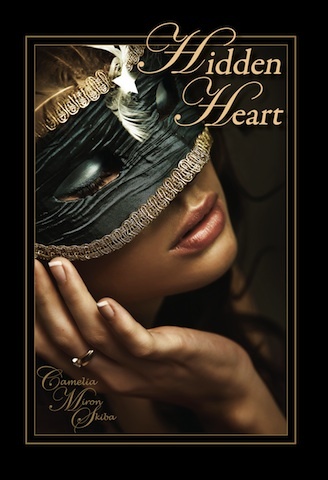 Emptiness rose in Tessa’s heart and soul, no feelings whatsoever left inside. This was simply too much. The sudden urge to vomit made her jump and run to the bathroom. He followed her and after she vomited, he tried to help her up but she pushed him away. “Leave.” No rage, no emotion, nothing behind her words. By the time Tessa returned to the living room, Daniel waited for her fully dressed. The other woman was gone. “I cannot tell you how sorry I am. I didn’t mean to hurt you. I thought you were on your way to Vienna . . . it doesn’t mean anything to me, it’s you I love,” he pleaded. He tried to get closer and hug her, but she pushed him away. “Do. Not. Try. That. Ever. You have two hours to remove all your stuff from my apartment. I’ll change the locks afterward and throw away whatever is not taken. Do not call me ever again, and if you ever see me, you better walk on the other side of the street,” Tessa said with an infinite burning rage behind her voice. She turned, fury driving her actions, grabbed her keys and purse and stormed out the apartment.